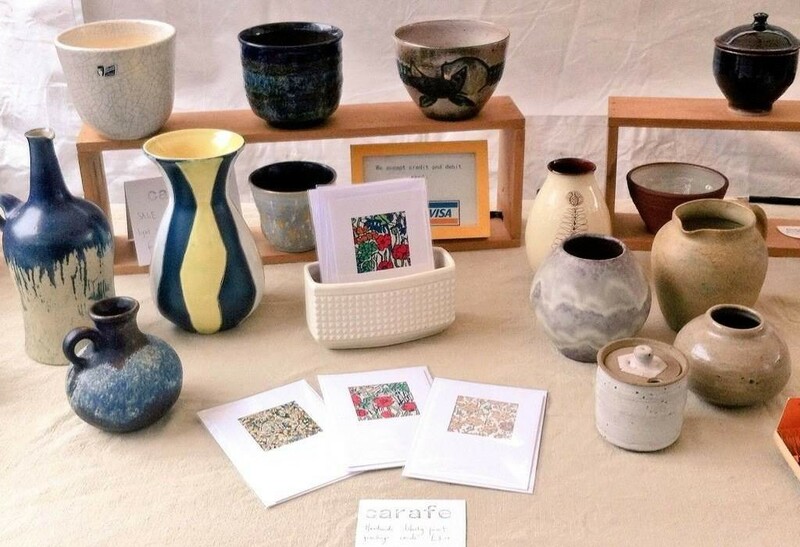 Our handmade & home market for the month will be held on Saturday 3rd October 2015, 10am to 4pm, on the Levenshulme train station car park. How on earth is it October already?! Oh well, let’s rush headlong into the start of the winter months with a comforting selection of handmade delights, from knitted goods, decor and furniture to smarten up the home to soul-warming arts and crafts from a range of super talented Manchester designers. Browse handmade Japanese masks, personalised bunting, colourful Fairtrade rugs, jewellery made from recycled guitar strings and bespoke mosaics. Food-wise, you can chow down on paella, pizza and pierogi before feasting on gourmet ice cream, chocolate brownies and gluten-free cheesecakes for pud. YUM indeed. Once again, we’re collecting donations for Burnage Foodbank at our lovely green gazebo – please check out the details here and bring along any unwanted items on Saturday. Thanks all!